Sarahah! A strange name that occupied social media in a rocket speed. This app became famous within a few months. In the February month this app has been added to Google play store, and within very less time this application became viral like the forest fire, and till now more than 50 lakhs people have downloaded it. There are a couple of reasons behind the popularity of Sarahah; First, this is a very user-friendly app. If anyone wants to make his profile on Sarahah, then he/she needs to create his/her account for it and then share the unique ID with friends through Facebook and WhatsApp. When your friends got this ID they can post about you, after that, you will receive messages, which come up with an easy and simple-to-read chat bubble. Posting messages is easy and receiving them is simpler. But the 2nd reason is more crucial for Sarahah's success; it encourages the narcissism within us. Facebook and Instagram also play a significant role in popularising this application in the internet space. It presents an option to the sender to send a message by anonymous. This application gives you a wonderful outlet to receive great feedback, bad comments, cool messages or compliments. An Arabic term “Sarahah means honesty”. Sarahah is an anonymous messaging application, through this you can send messages to any person who has an account on it. To search that person's profile with the user id or email you can go through the link on the individual's profile if you have. As per the anonymous structure of the app, when we talk about the search option of Sarahah in comparison to the Facebook or twitter, this functionality is not good. For example, if you want to Search me by my name “Vaibhav Bagga” you cannot directly search. The main reason why the Sarahah has gone famous is that you are unable to get the idea about the sender's identity. Is Sarahah App Supporting Cyber Bullying? Although, if this app not used carefully, can probably be risky. 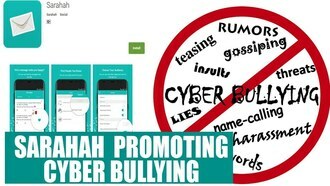 It has been shown in some of the reports that plenty of users are misusing the Sarahah app and using it as a means of cyber bullying. Some peoples are saying this is a game, and we are making fool to friends; there are lots of evil eyes who are using this as a cyber bullying platform. They are sharing, threatening messages to people and bullying them. Now the point is users need to understand how to use this Sarahah app. Let's have a look how you can use it. 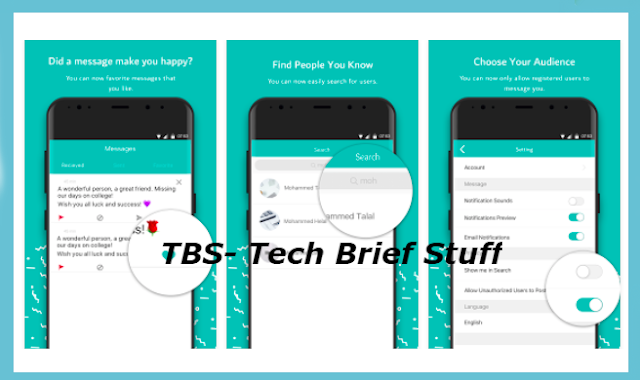 First, you need to download this application from Google play store if you are Android user or if you are an iPhone user you can download it from the App store. 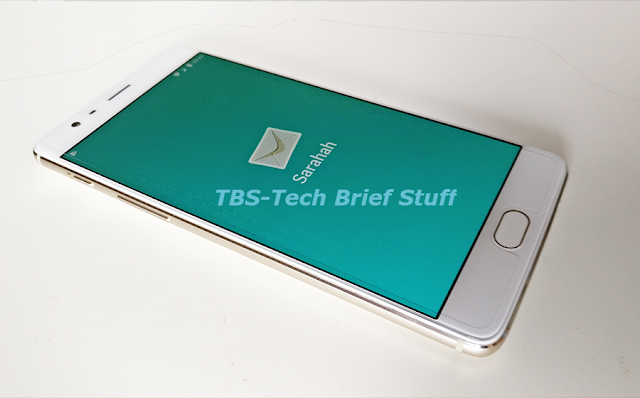 Once you have successfully installed this application on your phone, you need to register with your email address, create a password, and add your name. After making an account, you can share your profile link on Whatsapp, FB, TW. Now your friends know that you are using Sarahah, they can send you an anonymous message, and there will be no name or any information about the sender. Similarly, you can send anonymous messages to your friends. The best and worst part of this app is that you can't reply to the message. Conclusion: If you are using this app ethically, then you must share some sensible messages to be a responsible user and if you receive any provocative message then ignore it completely. 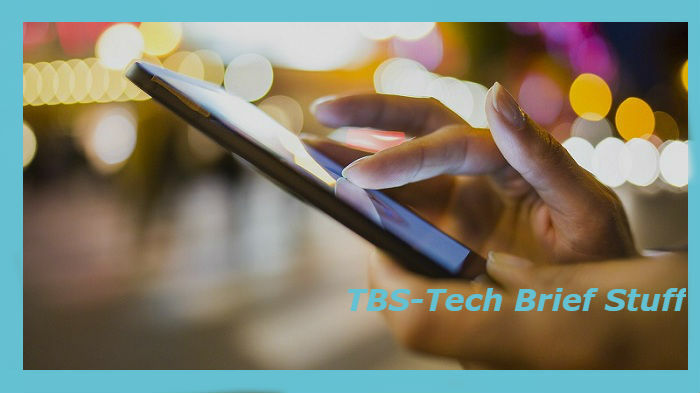 TBS is not supporting any cyber bullying app and is not responsible for any unfortunate incident.